From Goodreads.com: Louise gets a call from her son, Jonas. It's every parent's worst nightmare: A school party has ended in terrifying chaos after a group of violent teenagers forced their way into the building in search of alcohol and valuables. Dashing to the scene, Louise discovers one of the students gravely injured--struck by a car while attempting to run for help. Now the girl's distraught mother, pushed to her emotional breaking point, will do anything to make those who hurt her daughter pay. So when someone targets the gang members with a vicious attack, the girl's mother is the obvious suspect. But Louise can't shake the feeling that the case might not be as cut-and-dried as it first appears. Someone is lying--but who? Masterfully plumbing the darkest depths of human emotion in this propulsive new novel, Sara Blaedel again delivers an intense ride filled with unexpected turns that will have you on the edge of your seat..
Let me begin by saying that although this is listed as book number five - I had no trouble figuring out who is who. This is the final novel I will read by this author. I've tried. And I've said it before and I will say it again. I am sure this author and this novel will appeal to a variety of people. She has strong characters, she has a decent writing style. 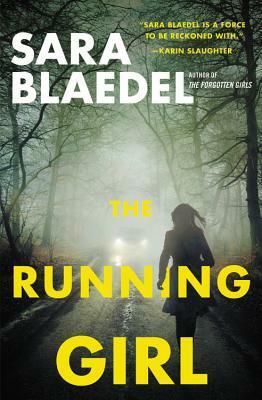 However, her stories are just lacking for me, in the things that make a thriller novel good. They are tedious - and yes police work often is - but as I've come to learn with the novels I have ready by this author - even the parts that are supposed to be "OH MY I DID NOT SEE THAT COMING - are anti-climatic, and her stories end abruptly often leaving me feeling as though I missed something.